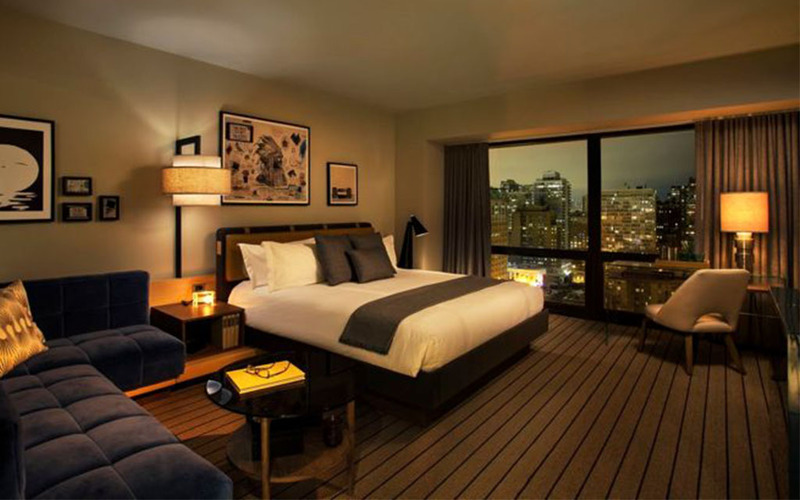 Ever find yourself sitting in a hotel room thinking, “I wish my house looked like this”? Turns out that’s pretty common. In other words, don’t fight it. 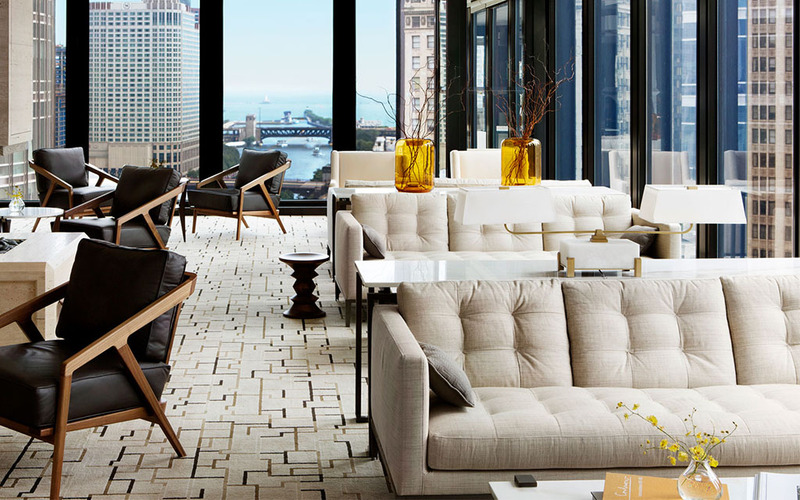 Hotels spend millions — and win awards — for their pitch-perfect interior design, so there’s no need to reinvent the wheel. Just put down the design magazines, step away from the HGTV and steal their style. It’ll immediately elevate your look. 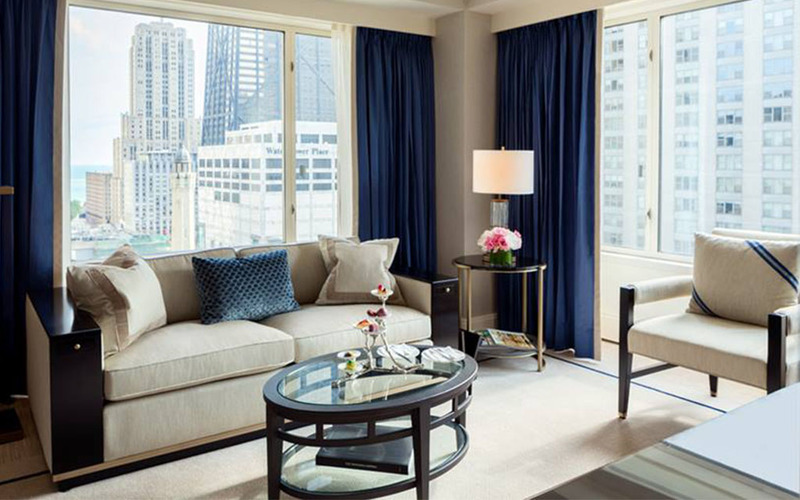 To help you get started, we pulled the bedrooms of Chicago’s top five hotels (according to Travel + Leisure’s 2018 list) and nabbed two of Chicago’s best interior designers to teach you the name of the style that’s caught your fancy, how to bring it home and where to shop for the critical pieces. 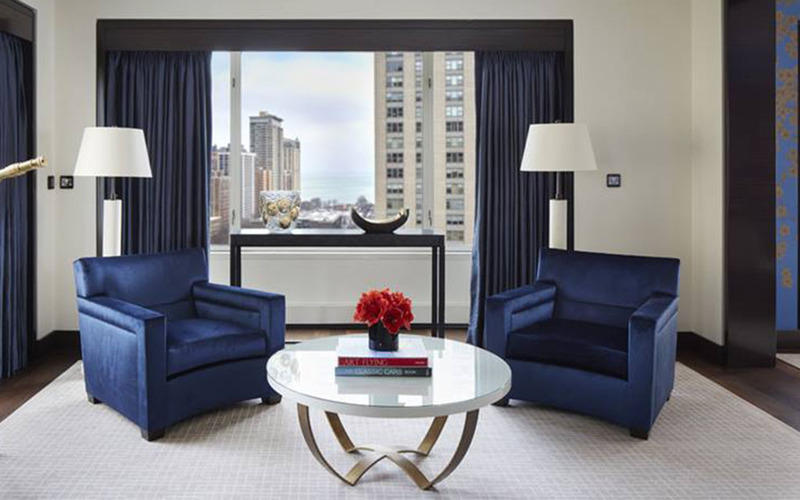 Of course you like this look: The Langham is the number one hotel in Chicago. It’s chic, sleek and sophisticated as hell. Key design elements: Don Draper’s signature look is all about neutral colors and clean lines. Use blacks, whites and creams for your copacetic base, then mix eclectic (but clean) styles, cozy fabrics and textures. 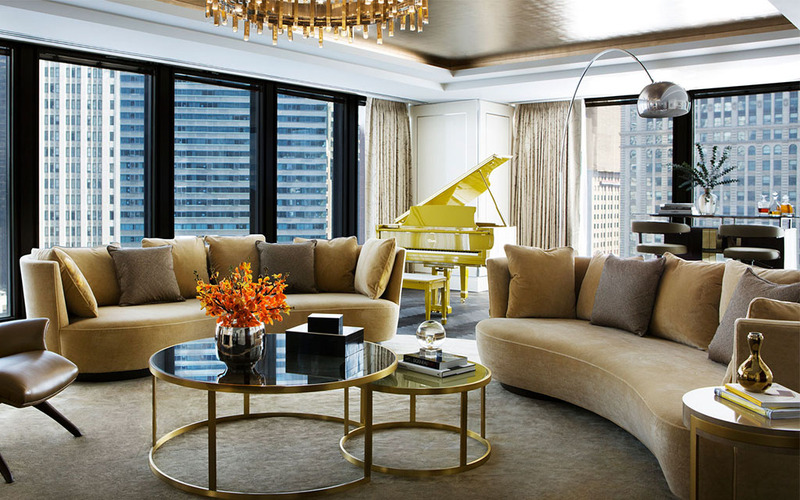 Chicago designer Anthony Michael recently outfitted a 60-foot luxury charter yacht, in this style. He says start with a few small pieces that aren’t a huge financial commitment and you’ll know whether it’s coming together. Lamps definitely fit the bill. But be advised: if it’s the artwork and splashy lobby of The Langham that’s catching your eye, you might be more Contemporary than Mid-Century. Fair warning, that style can head toward trendy, so be prepared to reinvent often if that’s the portion of this equation you’re most interested in. 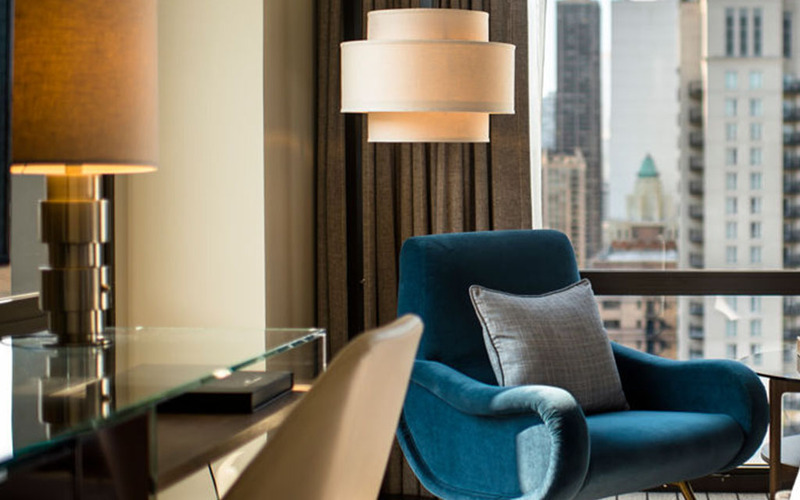 Currently on a 15-year winning streak at the coveted AAA Five Diamonds award, the well-appointed Michigan Avenue institution is refined and elegant, with Eastern accents throughout. Key design elements: The hallmark of transitional style is using classic shapes in a fresh and current color palette. New takes on old classics, in other words. Think feminine curves, luxury and comfort, yet done up in a very uncomplicated and approachable manner. Krueger says the vibe here comes from a neutral color palette with pops of rich sapphire and brass tones. If your application of this style is falling flat, don’t throw it all out, just play with the color palette. 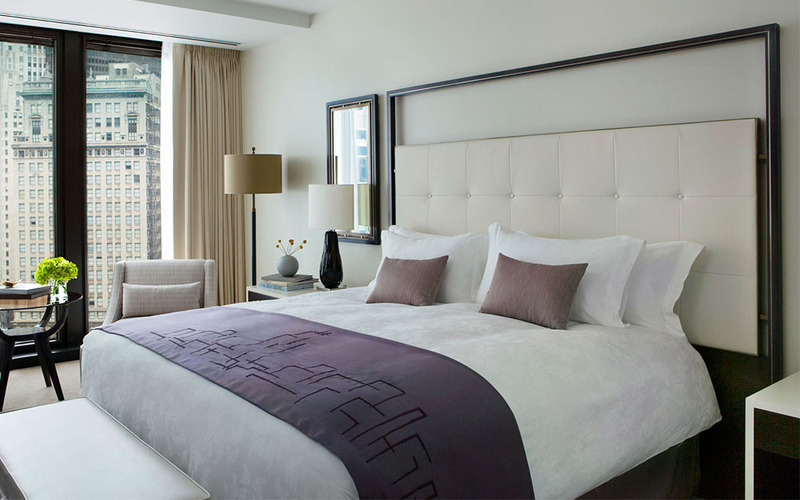 Or scroll through Krueger’s portfolio for inspiration of more calm, clean bedrooms. 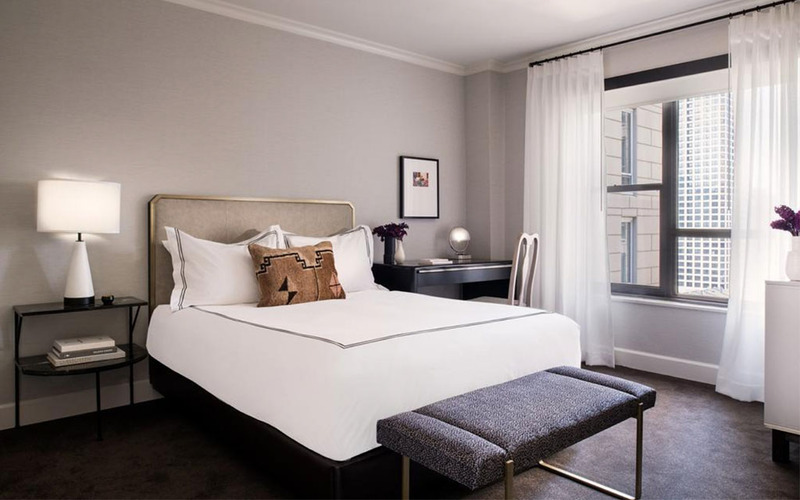 A design rep for this Gold Coast hotel uses phrases like “sensually lit spaces” and “a calm confidence that is both intriguing and inviting” when describing The Thompson. In other words, time to get an animal rug. Key design elements: Earth tones, dark colors, geometric patterns, a mix of materials and funky shapes in lighting and upholstery. 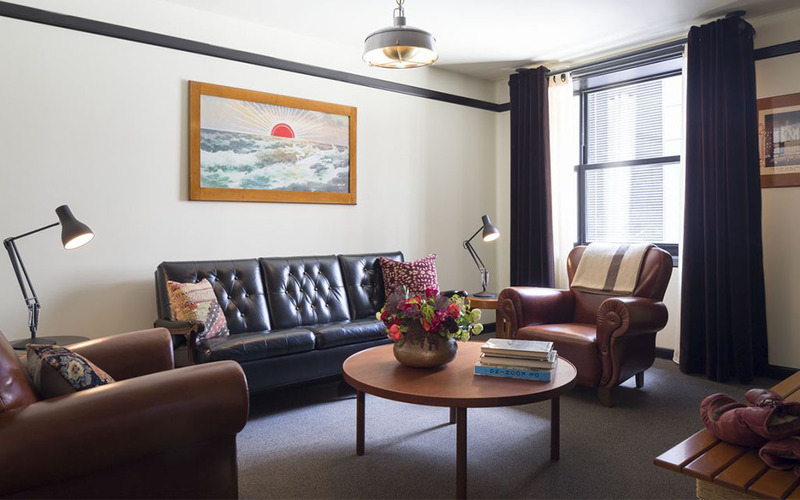 The Thompson leans into this look with one-of-a-kind art and gallery-style arrangements. Wall decor is such a critical component of this look — which is why we’ve included a recommendation for a framing shop in the West Loop. Now you have the perfect excuse to nab some of Kim Knoll’s addictive, stylish watercolors. 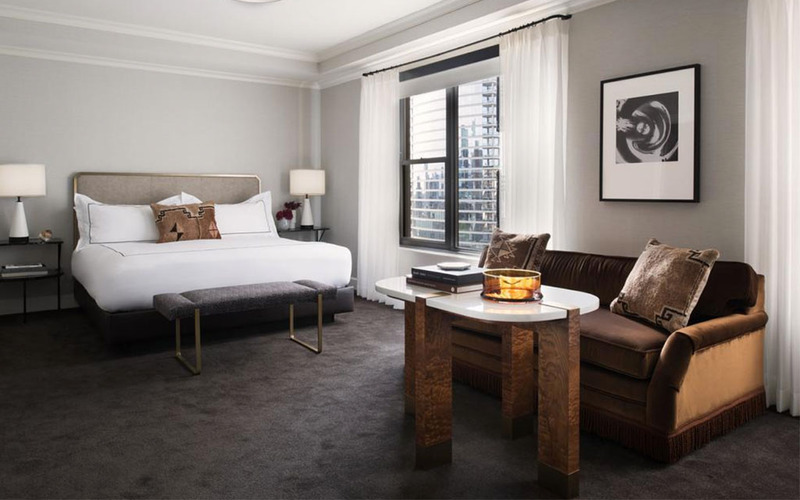 The hotel re-opened last year following a total design overhaul. It goes to show that no matter the year your place was built, you can create a slick, understated air on the inside. Key design elements: A neutral palette accented with subtle punctuations of color. (Emphasis on neutral and subtle.) Modern is all about keeping it clean and simple. 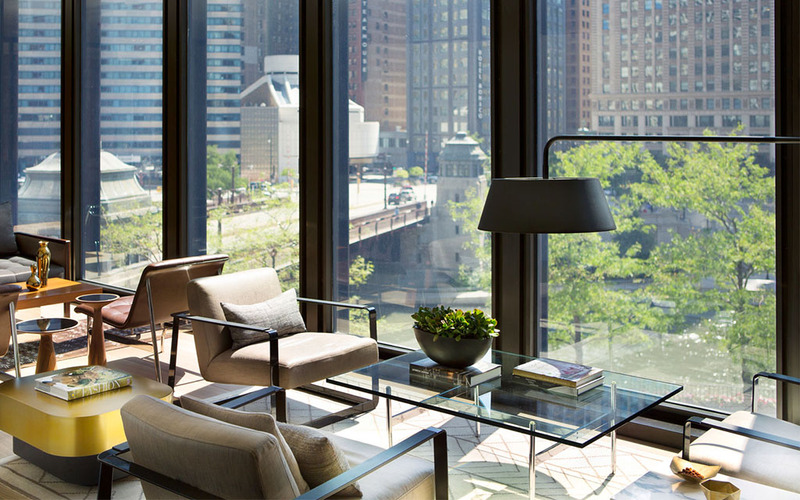 If you’re new to modern, pick lamps and tables that feel residential. Modern can head toward science-fiction fast. If you haven’t heard, the Chicago Athletic Association is a restored sporting club located inside a gothic, Columbian Exposition-era building, with a very popular rooftop bar. They’ve kept the original vibe, but now women are allowed in. The whole thing is a bit of contradiction. It’s hip and traditional, classic and contemporary, highly masculine yet gender neutral. It’s layered, lacquered, leather-embellished and littered with actual sporting equipment. Key design elements: Layer old, vintage and new items. Use natural elements, rich leathers, dark colors, plaid and some rustic touches. Basically everything that sounds classically masculine. But as Michael warns: “This is not an easy look to pull off, unless you know what you’re doing.” His firm recently created an Association-inspired bachelor pad for a client, and said they had to scour multiple sources to find the critical one of a kind piece of art to tie it all together. 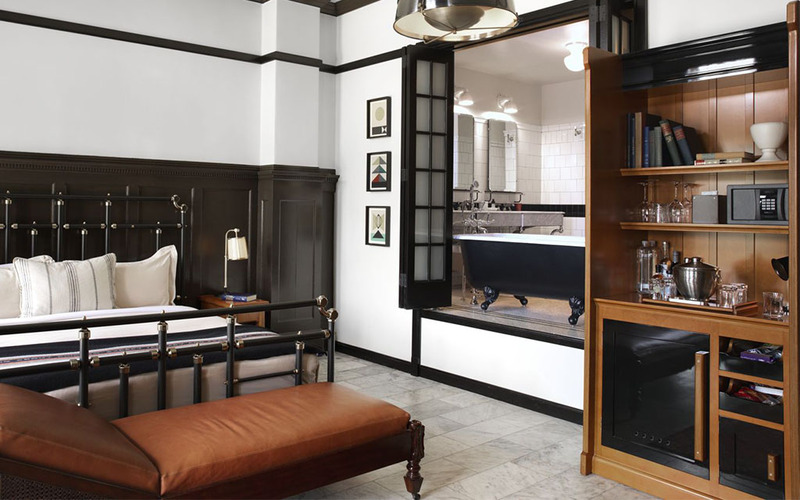 Who knew nailing this uber-masculine style would require antiquing? Welcome to 2018, you modern man, you. Shop this style: Brimfield in Andersonville, First Dibs, Restoration Hardware, EBAY and Amazon for one of kind finds. And just like that, you’re armed with new design terms and a raft of outfitters at which to throw your money to transform your bedroom. After all this hard work, you should probably treat yourself to a stay in one these beauties. 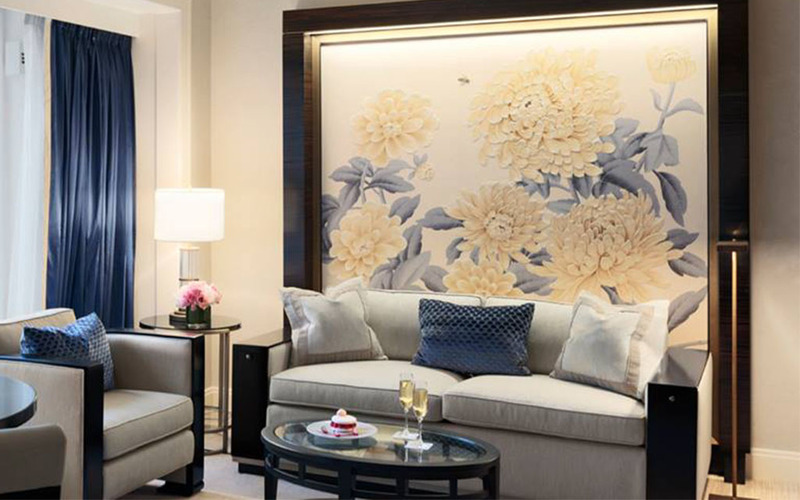 Or at least grab a post-dinner drink at Pennisula’s new Z Bar or unwind at the opulent Chuan Spa at The Langham. It’s all in the name of research, after all.